Kick off your visit on the 4th (Tue): take in panoramic vistas at Eureka Skydeck 88 and then wander the streets of Melbourne Central. 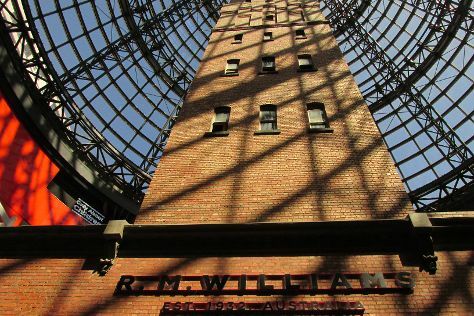 To find where to stay, photos, ratings, and tourist information, you can read our Melbourne travel site . Singapore, Singapore to Melbourne is an approximately 10.5-hour flight. You can also do a combination of flight and shuttle. The time zone difference moving from Singapore Time to Australian Eastern Standard Time (Victoria) is 2 hours. Prepare for colder weather when traveling from Singapore in June: high temperatures in Melbourne hover around 16°C and lows are around 6°C. Finish your sightseeing early on the 4th (Tue) to allow enough time to drive to Werribee. Werribee is a suburb of Melbourne, Victoria, Australia, 32 km south-west of Melbourne's Central Business District, located within the City of Wyndham local government area. On the 4th (Tue), walk around Werribee River Park. 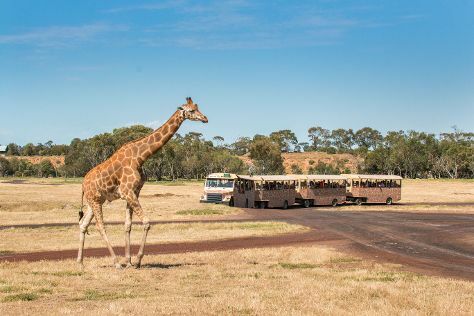 To find other places to visit, maps, more things to do, and other tourist information, you can read our Werribee travel itinerary planner . Werribee is very close to Melbourne. June in Werribee sees daily highs of 16°C and lows of 7°C at night. Wrap up your sightseeing on the 5th (Wed) to allow time to drive to Torquay. Kick off your visit on the 5th (Wed): get great views at Point Danger Lookout. To see traveler tips, ratings, where to stay, and more tourist information, refer to the Torquay tour planner. Traveling by car from Werribee to Torquay takes an hour. Alternatively, you can take a train; or do a combination of train and bus. In June in Torquay, expect temperatures between 16°C during the day and 6°C at night. Wrap up your sightseeing on the 6th (Thu) to allow time to drive to Brighton. Kick off your visit on the 6th (Thu): make a trip to Brighton Bathing Boxes. To see reviews, ratings, and more tourist information, go to the Brighton online vacation planner . Drive from Torquay to Brighton in 1.5 hours. June in Brighton sees daily highs of 16°C and lows of 7°C at night. Wrap up your sightseeing on the 7th (Fri) to allow time to travel to Whale Beach. Kick off your visit on the 8th (Sat): explore the wealth of natural beauty at Bouddi National Park. Planning Whale Beach trip won't be overwheling when you use's Insprock itinerary maker. Explore your travel options from Brighton to Whale Beach with the Route module. Expect a bit warmer temperatures when traveling from Brighton in June; daily highs in Whale Beach reach 20°C and lows reach 11°C. Finish up your sightseeing early on the 8th (Sat) so you can travel to Seal Rocks. On the 9th (Sun), stroll through Elizabeth Beach, then kick back and relax at Sandbar Beach, and then enjoy the sea views from Seal Rocks Lighthouse. For other places to visit, reviews, more things to do, and other tourist information, read our Seal Rocks online trip planner . You can drive from Whale Beach to Seal Rocks in 4 hours. In June in Seal Rocks, expect temperatures between 21°C during the day and 9°C at night. 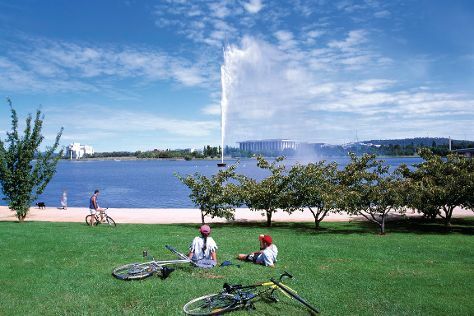 Wrap up your sightseeing on the 9th (Sun) to allow time to travel to Canberra. On the 10th (Mon), get up close and personal with brilliant marine life at National Zoo and Aquarium, then explore the activities along Lake Burley Griffin, then engage your brain at Questacon, and finally look for gifts at Vines & Wines. For ratings, photos, and tourist information, read Canberra trip builder website . 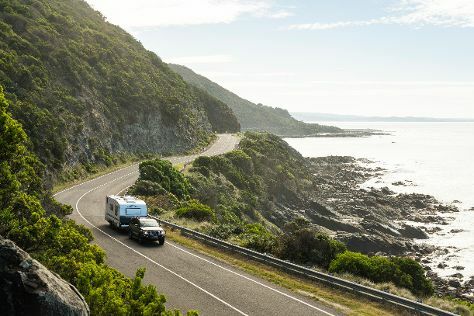 Explore your travel options from Seal Rocks to Canberra with the Route module. In June, Canberra is slightly colder than Seal Rocks - with highs of 15°C and lows of 0°C. Finish your sightseeing early on the 10th (Mon) to allow enough time to travel back home.